It’s all going on in Olney! Arriva announced that they were cutting part of the Route 1, With the service now terminating at Newport Pagnell, Which left the Newport to Olney/Lavendon section unserved. As is normal in these kind of situations, MK Council looked at a Contracted route which was awarded to Redline who started their 21 service. But what makes this route change interesting is that another Bus Company, new to our area, has started a commercial route of their own from Olney to CMK and onwards to Buckingham and Steeple Claydon. This route is run, according to the MKC Timetable Guide by Britannia Bus Ltd, But the buses (and their facebook page) seem to be operated by Meridan Bus. So, now you’ve got a Tendered service that’s almost competing with a commercial service, which obviously isn’t allowed… What will happen?? Who know’s!! I don’t know enough about the legal side of all these events, But if Brittania/Meridan extend their route to Lavendon then I think they’ve got a pretty good case! I do feel that Redline, Through no fault of their own have been kinda landed in the middle of all this, How they would be compensated would be anyone’s guess! Who’d of thought the quite parts of Rural Bucks/MK would end up with such an interesting bus service! I plan to give both the 21 and 321 a trip over the weekend to see what these new services are all about. I do think Brittania/Meridian need to decide which company name is operating their new route, as some members of the public may be confused on who’s running what, But that’s purely a personal opinion, nothing more. 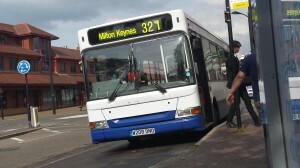 This entry was posted in Buses, Local Stuff, Milton Keynes, Work. Bookmark the permalink. what a farce the 321 service is. Twice I have tried to use it in the Willen area each time no show, Not sure its running? 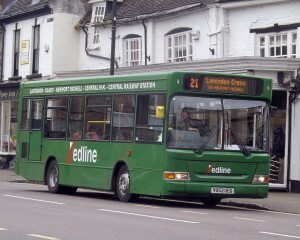 Alan, it’s only running on Sundays at the moment, and even then only the Olney to CMK section is running. Thanks. Lets hope it gets going to the timetable every day. saves walking through the whole length of Newport high street or changing buses.